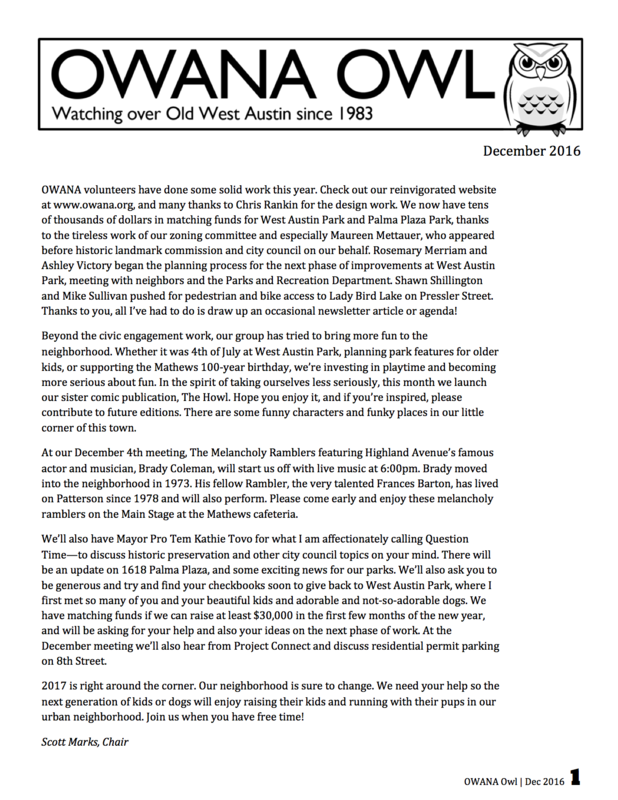 OWANA is open to all with an interest in the Old West Austin area. All members receive the quarterly newsletter, the OWANA Owl. Join or renew online now.